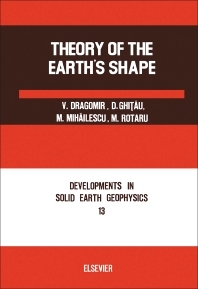 Theory of the Earth's Shape considers the physical-mathematical problems raised by the determination of the form of the planet, thereby making a significant contribution to the technological scientific literature in this field. This book is organized into six parts encompassing 29 chapters. The first part, entitled Physical Geodesy, presents the theory of the determination of the gravitational field, in the definition of which preference was given to the method of expansion in spherical harmonics recommended by the International Union of Geodesy and Geophysics in establishing the international "Geodetic Reference System 1967". Part II deals with the principal aspects of Ellipsoidal Geodesy, such as the methods of solving the geodetic problems on the reference ellipsoid. Part III considers the main problems associated with Astro-geodetic Triangulation, particularly with the conception of materialization and the necessary measurements as the required adjustment procedures. This part also provides approaches regarding the controlled analysis of angular measurements and the description of some original calculation and measurement methods. Part IV concerns one of the methods of determining the spatial coordinates of the geodetic points in a unitary system, such as the three-dimensional geodesy, which has had more concrete applications since the launching of the Earth's first artificial satellites. Part V describes the methods for determining the terrestrial ellipsoid and the geoid, as well as the conventional methods and the methods of Dynamical Geodesy. Part VI discusses the geodetic methods for the determination of the movements of the Earth's crust, along with an overall examination of the theoretical and practical aspects which in principle constitute the object of such activities. This book will prove useful to geophysicists, astronomers, Earth scientists, and researchers.